Are you a Harry Potter fan distraught that you have no more movies to look forward to? 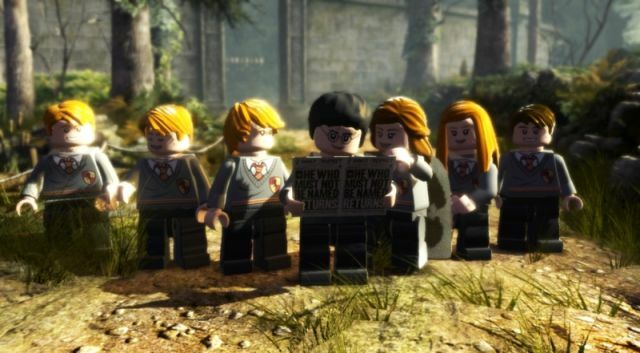 Or did you breeze through LEGO Harry Potter Years 1-4 with a friend and are currently feening for some more wizardly action within a boxy universe? Well worry not, friend, for LEGO Harry Potter Years 5-7 now has a release date! The second installment in the LEGO Harry Potter series will be available in the UK on November 18th, which presumably puts a NA release on Nov. 15th and an AUS release on the 17th, but those haven't been confirmed yet. As the name suggests, it will cover major events of the last three books. LEGO Harry Potter Years 5-7 will be released on the Wii, PC, PS3, and 360 with 2-player co-op.